British Chess Magazine is one of the most trusted, longest running chess publications in history, but you will also have the leading chess magazine that will undoubtedly improve your skill and inspire you to love the game even more. 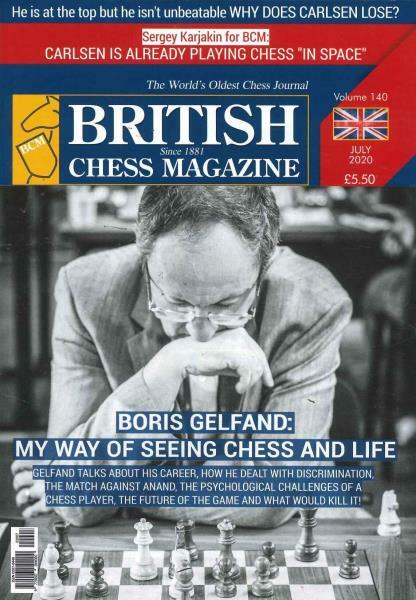 Buy a single copy or subscription to British Chess magazine. Chess is one of the oldest games that still contain a huge following around the world. In almost every country you will find chess tournaments, avid and passionate players, and a wealth of information, strategies, and tips that people use everyday to improve their game. If you find yourself with either a passion for chess or you are looking to really improve your game, then it is important to find a good chess publication that caters to your every need; however, it is certainly quite hard to find a decent chess publication. Chess has a long and rich history of tradition, and therefore if you are a chess player you need to add this magazine to your chess enthusiasm repertoire. Every issue contains in depth, detailed information regarding the chess scene from around the world, brining you the latest news on chess tournaments, chess events, and everything else you would want to know about the chess world at large. Additionally, British Chess magazine takes the biggest chess matches from around the world, and picks them apart with detailed, expert analysis, showing you the tricks and the trades from the biggest players in chess.